Sale: $38.95 & FREE Shipping. 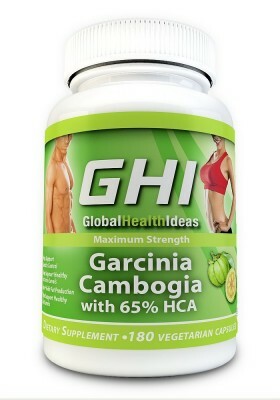 GHI Garcinia Cambogia Extract 3000mg 65% HCA should be taken as directed. Do not exceed the recommended dose. Pregnant or nursing mothers, children under the age of 18, and individuals with a known medical condition should consult with a physician before using this or any other dietary supplement. Keep out of the reach of children and do not use if you see the safety seal is damaged or missing. Garcinia Cambogia Extract 3000mg by Global Health Ideas has zero fillers, zero binders and zero artificial ingredients. Each bottle contains: 180 Capsules. Each capsule contains Garcinia Cambogia 500mg (65% HCA), Calcium 50mg, Chromium 125mcg, Potassium 52.5mg. It is caffeine free and scientifically formulated to quickly allow you to reduce belly fat, suppress appetite, suppress cravings, block fat production, increase metabolism, enhance serotonin levels and much more. If you follow Dr. Oz recommended dosage of 3000 mg per day, each bottle will last 30 days. We recommend that you take GHI Garcinia Cambogia at least for 60 days to be able to reach your goals. For Best Results: Garcinia Cambogia Pure 65% HCA by Global Health Ideas, as a dietary supplement, take 2 veggie capsules, 30 minutes before eating, with an 8oz glass of water, (3) times a day. Do not exceed 6 capsules per day. *For Dr. Oz followers, his recommendation is to take 500mg to 1000mg before each meal, and make sure to take no more than 3000 mg total per day. (i.e. 1000 mg 3x a day or 1500 mg 2x a day). *The product statements on this page have not been evaluated by the FDA. This product is not intended to diagnose, treat, or cure any disease. — *Dr Oz does Not promote particular brands. 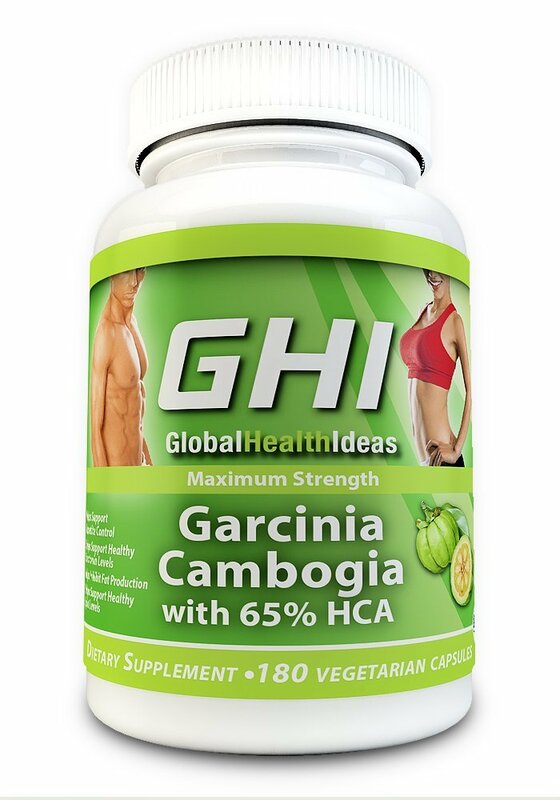 Garcinia Cambogia by Global Health Ideas Is The Secret To Rapid Weight Loss. 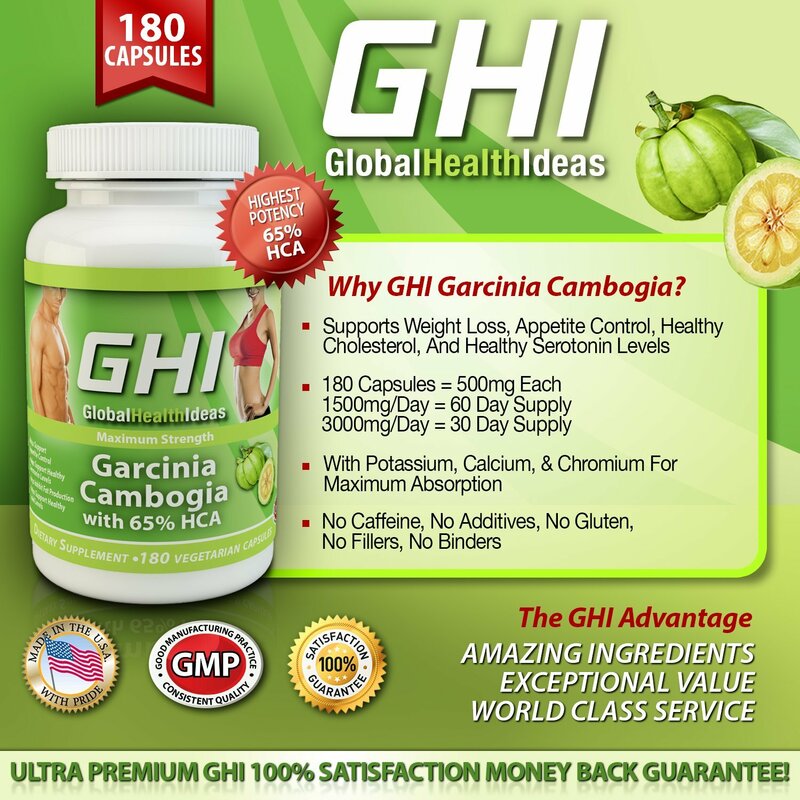 Exclusively formulated for those who want the very best, GHI Super Potent Garcinia Cambogia Extract 3000mg (65% HCA) brings you the most powerful and highest quality, all natural Garcinia available on the market today. The HCA extract from garcinia cambogia helps block fat, while suppressing your appetite by increasing serotonin levels. By increasing serotonin levels, HCA improves mood and suppresses your drive to eat. What Do Famous Doctors Say? – Dr. Chen called Garcinia Cambogia Extract 3000mg a “Dual Action Fat Buster” that suppresses appetite and prevents fat from being made. – Citing clinical studies, Dr. Oz emphasized that this dual action fat burner could be the magic ingredient that helps you lose weight, even without diet or exercise, calling it, “The Holy Grail of Weight Loss”! – Made In USA to strict cGMP Standards in FDA inspected and GMP approved facilities! 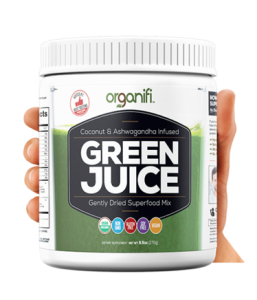 – No Caffeine, NO Additives, No Gluten, No Fillers, No Binders! With Our Guarantee, You Have Nothing To Lose But Weight! *100% MONEY BACK GUARANTEE – If you are not satisfied, return them for a full refund! #1 100% Pure Garcinia Cambogia Extract 3000mg with Highest Potency 65% HCA Maximum Strength Diet Supplement! 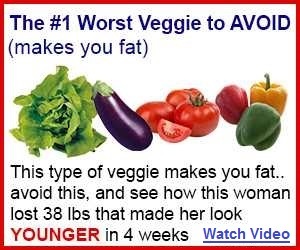 Suppresses Your Appetite And Boosts Your Metabolism So You Eat Less and Still Feel Satisfied! Increases Serotonin Levels Helping To Reduce Cortisol (the stress hormone) For Reduced Belly Fat and Improved Mood! 3,000mg per day / 500mg per veggie capsule / 180 capsules per bottle, Clinically-Proven All Natural Weight Loss with NO Additives, Fillers, Binders, Sugars, Or Starches! Produced In FDA Inspected And GMP Approved Facility! Ultra Premium GHI 100% Satisfaction Money Back Guarantee!